It actually ended up being quite an interesting experience: Shannon met a guy from Portugal on the plane. He was visiting friends but they weren’t able to pick him up at the airport. Our friend, Dana, was driving so we all piled into her car and took him to Marina Mall. We invited him to have breakfast with us at Pain Quotidian…and ended up finding out he was visiting some Kuwaiti royalty that he had met on a road trip. Crazy! We ended up hanging out with him all day and had quite a bit of fun being hospitable. Bonus: he’s a great (self-taught) photographer! The afternoon consisted of coffee and pedicures. Saturday was another early morning to pick Andrew up at the airport. We had an amazing breakfast (as always) at the Cocoa Room before heading out to the desert! Full and satisfied, Dana, Andrew, Shannon, Abby, Jeff and I headed out to do some desert hiking. We found some interesting things along the way! …and found lots and lots of bullets in the process. Before they came, we compiled a list of all the things we wanted to do with them. [As you can see, we take our food very seriously!] It was actually a pretty busy week! We gave them a taste of a lot of things and know we missed even more. 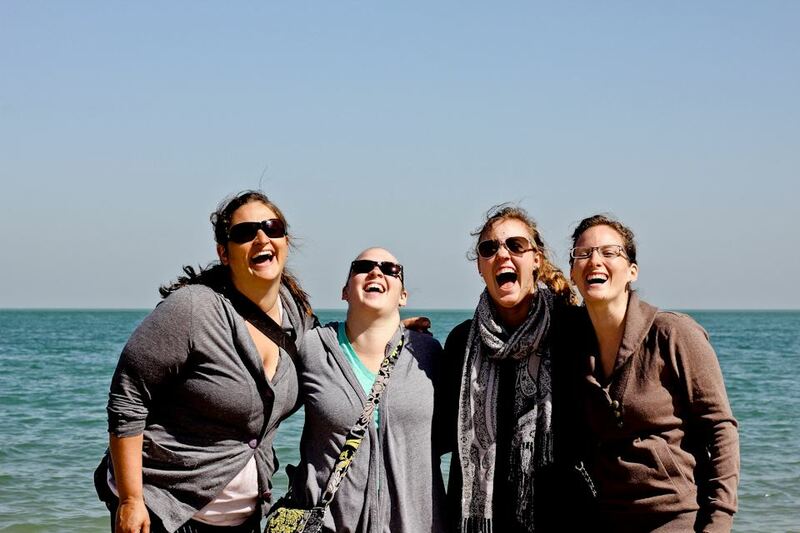 Contrary to popular belief, there’s actually a lot to do in Kuwait (if you’re looking). Some of the blogs I use to find goings-on: 2:48AM, Life in Kuwait, The Grapevine Kuwait. Shannon introduced me to Red Mango…how did I manage to get through the first 7 months here without ever stopping to try it?! 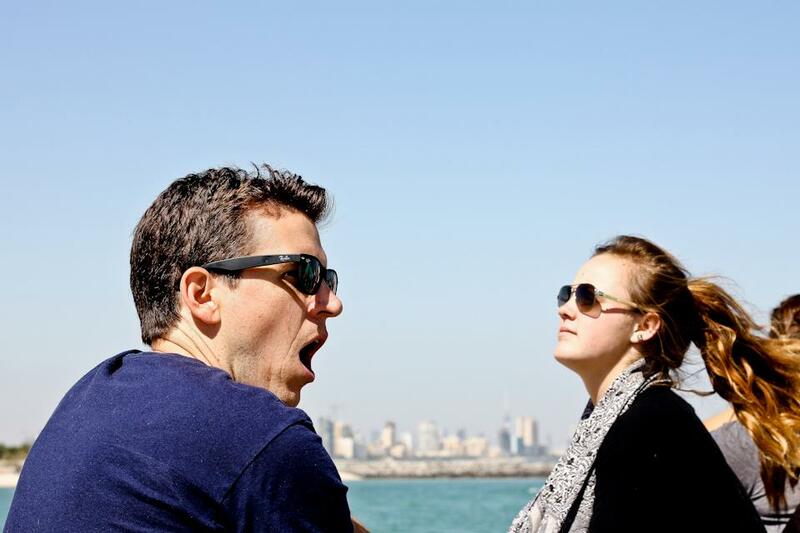 We ventured to Souq Sharq (a first for all of us!). We made at stop at the Fish Market. We (finally) tried a nearby bakery and enjoyed some Middle Eastern sweets. Strolling through the Old Souq. Our last night, we ventured to one of our favorite restaurants for some Turkish food and shisha. Abby’s friend from high school (Lance) was in Kuwait for a couple months working on the oil fields and joined us…small world! It was a great week!! We ate at Kokosnuss German Bakery for breakfast, had some street food from the beach for lunch, and Skyla’s and Carbonara’s for dinner. I’d recommend them all to anyone. Breakfast was ham, cheese and homemade bread, costing us somewhere around $5 per day (total) for 3 people. Lunch was usually 3 servings of typical Thai food; Pad Thai, Noodle Soup with Prawns, etc. Each dish cost about 80 thb and whoever went and ordered got to have a beer while they waited. Total for lunch was usually ~300 thb or $10 total for 3 people. Dinner was slightly more expensive but the atmosphere at both places was worth it. At Skyla’s we had Pad Thai, Lettuce Wraps and Spicy Papaya Salad. At Carbonara’s we had pizza. I don’t remember the totals for each place, but they were slightly more expensive (120 thb – 150 thb) per dish. * We didn’t find a single place that accepted credit/debit cards, so carry cash. Not a single bank in Kamala accepted our Kuwait cards, so we had to go to SCB on the main strip to have them charge our American Credit cards. Again – take out LOTS of cash, because plastic won’t work! * Once you’re in Kamala, plan to stay there. Taxis, Tuk-tuk’s, busses and rental cars are pricey. Scooters are cheap and we thought about renting them but decided against it (and were thankful we did, as it poured that day!) and ended up grabbing a car for the day. * Buy towels there, and make sure you bargain. I’m a big fan of traveling light, so packing a towel wasn’t going to be something I did. The towels are cheap quality, so don’t pay full price. * Rent a chair and umbrella every day. They cost about 100 thb per person per day, but they are absolute MUSTS. You have to have a place to escape the sun or you’ll fry. Chairs and umbrellas are plentiful, so don’t pay more than 100 thb per. * Beer is cheap in Thailand and they’ll open it for you at the store so you can drink it walking out the door. Take advantage of this, as drinks on the beach get pricey fast.